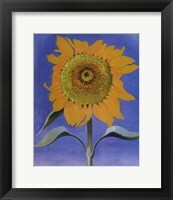 Sunflowers are tall, beautiful, colorful, and full of potential for artists of all genres. 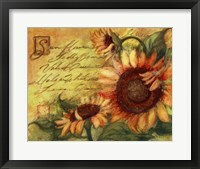 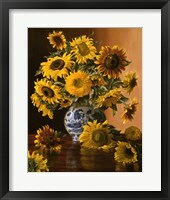 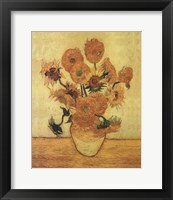 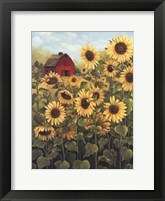 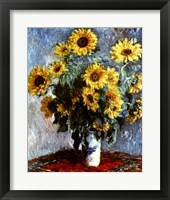 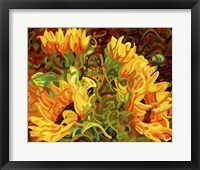 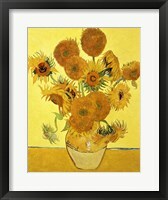 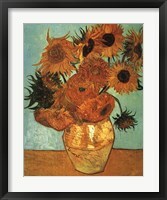 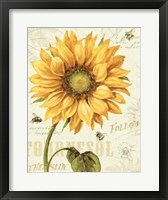 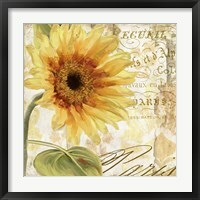 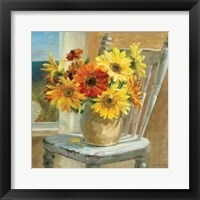 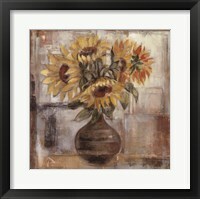 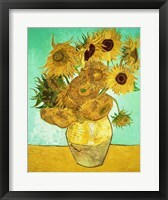 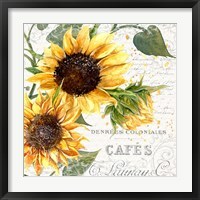 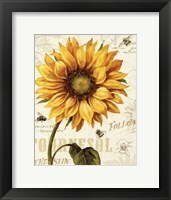 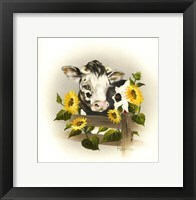 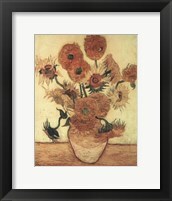 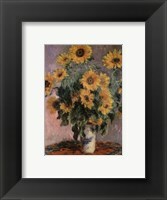 Many artists over the centuries have used sunflowers as models for their framed sunflower artwork and photographs. 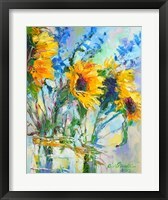 Sunflowers are happy flowers by nature and bring a smile to the face of all that encounter them but, no one knows exactly why that may be. 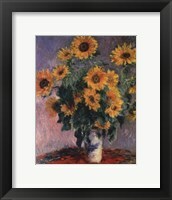 Two of the most famous impressionists rendered sunflower artwork in the late 1800s. 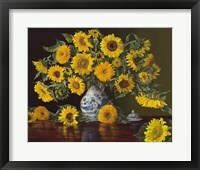 Even though they both rendered their sunflower pieces as a still life — on a table and in a vase — each of these works summons a different range of emotions. 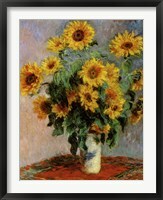 Can you guess the artists' names? 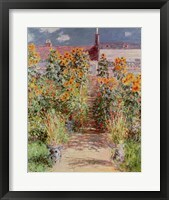 One of our favorite framed sunflower artworks was created two decades later, in 1905. 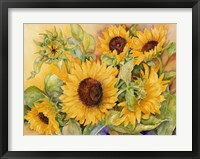 Packed full of vibrant colors, various flowers, and colorful vegetables, this wonderfully colorful sunflower artwork is truly a masterpiece that brings life to any wall. 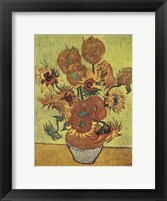 If you're looking for something a bit more up-to-date, we have you covered there, too! 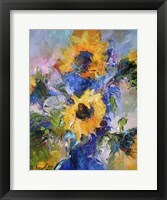 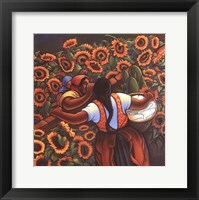 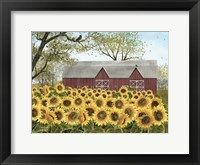 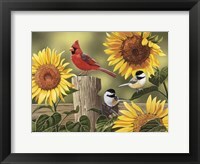 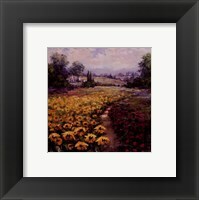 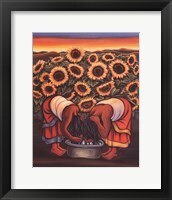 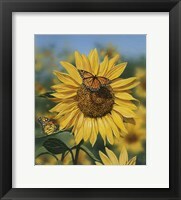 The FramedArt.com galleries include many contemporary artists that bring fields of sunflowers to life on the canvas, allowing you to enjoy them in their natural habitat, no matter where you live.